Love it – well done! I bet you were great. 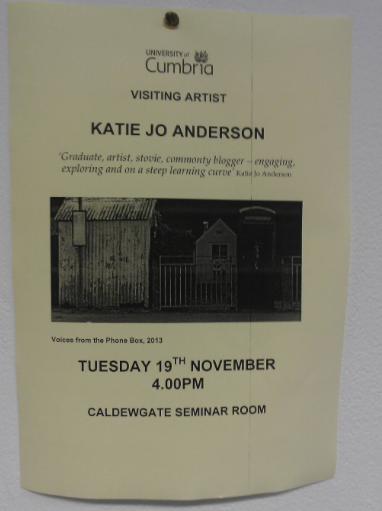 How odd to be a ‘visiting artist’…sounds like some sort of migratory bird! visiting artist/migratory bird – love it! Now apparently, (random apparent fact) the Glasgow girls that used to come down to Kirkcudbright and gave the town it’s Artists Town reputation were referred to as ‘the swallows’ because they came and went with the seasons, as the swallows do! How lovely is that?